DeTour Passage Underwater Preserve [Underwater Preserves, Scuba Diving], DeTour Village, MI 49725, Phone: (800) 970-8717. 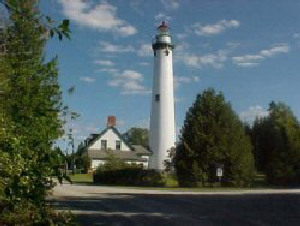 The DeTour Passage is located at the easternmost tip of Michigan’s Upper Peninsula. 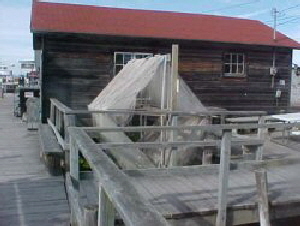 The area, which includes Drummond Island, became the state’s tenth underwater preserve. The DeTour Passage Underwater Preserve features a variety of dive sites. Keweenaw Underwater Preserve [Underwater Preserves, Scuba Diving], Houghton, MI 49931, Phone: (800) 338-6660. In addition to shipwrecks, the Keweenaw is a popular area for exploring underwater geologic formations. Large deposits of copper can be found in this region. Visibility throughout this preserve is generally very good and often exceeds 35 feet. Manitou Passage Underwater Preserve [Underwater Preserves, Scuba Diving], Empire, MI 49630, Phone: (231) 326-5134. The Manitou Passage Underwater Preserve offers divers a variety of Lake Michigan attractions - from historic dock ruins to fascinating shipwrecks of two centuries. Marquette Underwater Preserve [Underwater Preserves, Scuba Diving], Marquette, MI 49855, Phone: (800) 338-6660. The Marquette Underwater Preserve was established in 1990 to promote conservation of the area’s submerged historical resources. The preserve offers outstanding scuba diving along Lake Superior’s shoreline in two areas of Marquette County, the Marquette Unit and the Huron Islands Unit. Michigan Underwater Preserves Council [Underwater Preserves, Scuba Diving], 560 N. State Street, St. Ignace, MI 49781, Phone: (800) 970-8717, We promote diving and conservation of the shipwrecks in the 11 underwater preserves and Great Lakes. These shipwrecks have been under water for many years, and are often found in good condition, even after being submerged for 100+ years. Whitefish Point Underwater Preserve [Underwater Preserve, Scuba Diving], Paradise, MI 49768, Phone: (800) 338-6660. Whitefish Point reaches into Lake Superior at the Southeast end of the Lake, providing the geographic separation between the “Greatest Lake”, Whitefish Bay and the entrance to the Soo Locks. The cold clear waters in this area have left the wrecks in excellent condition. They range from an early schooner, Niagara, to wood steam barges, Vienna, John Osborne, Samuel Mather, and modern steel Lake freighters Superior City and John B. Cowle.